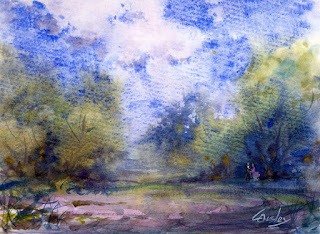 Some wet in wet watercolor based on memories cruising around the local countryside on some early spring days after a rain storm. 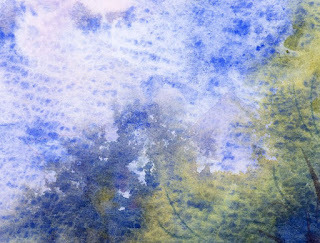 French ultramarine being grainy, tends to pool up in the textured watercolor paper. I used the spray mister and let the water do it's work with the watercolors.